I’m still waiting for Arizona to cool off. It’s October, and the weather is still hanging onto those 90+ degree temps like a clingy ex-boyfriend that just won’t let you go. Are you as ready for the cooler fall temperatures as I am? Sweater weather soon, please! Newsflash on something you might not know- summer in Arizona is HOT. 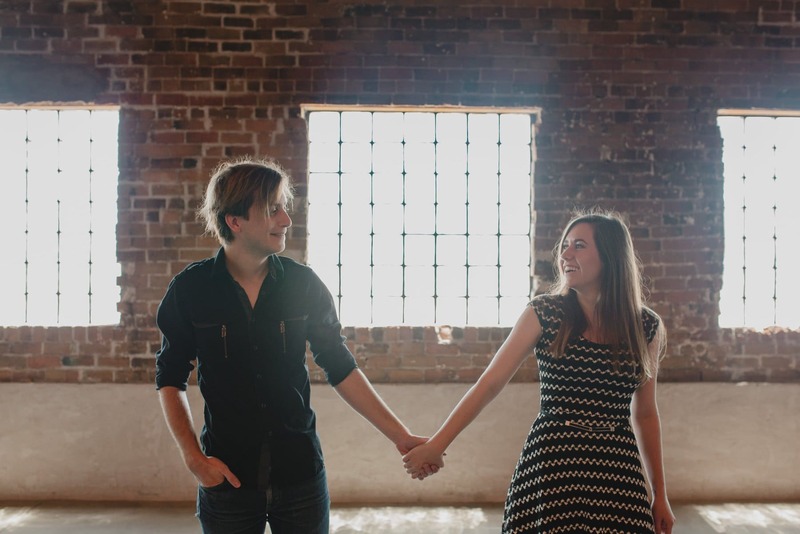 What do you do if you want to get your engagement session done in the summer in Arizona? 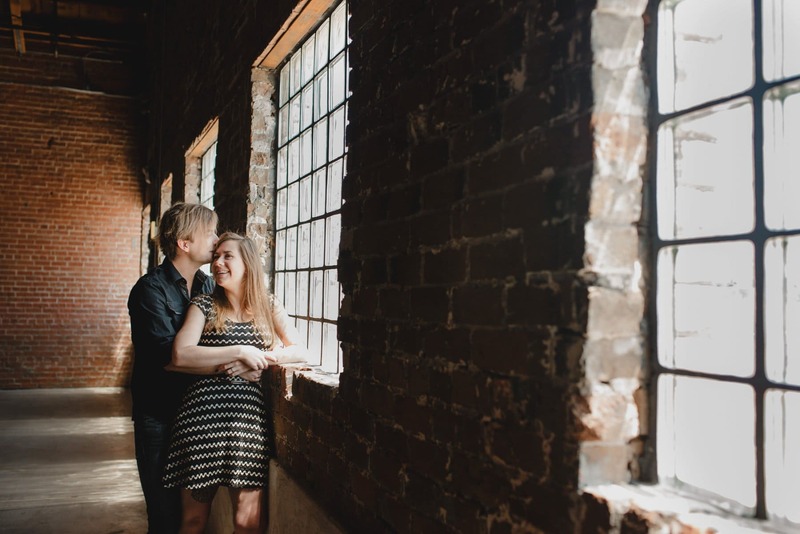 Besides have an underwater engagement session, travel to northern Arizona for cooler temperatures or have an in home engagement session, there are several venues and locations that will let you use their indoor spaces for engagement sessions in summer. 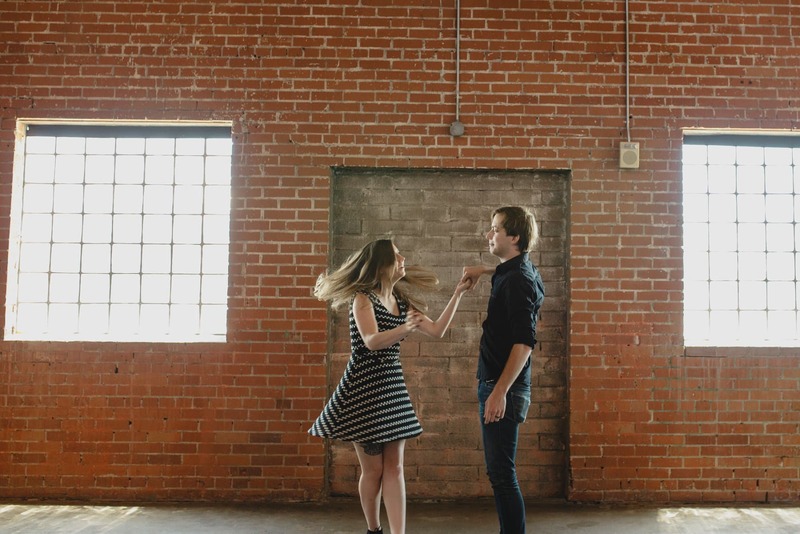 Warehouse 215 in Phoenix generously opened their doors this summer to photographers and couples to shoot sessions indoors in air conditioning, so Sierra & Brian took advantage of that! 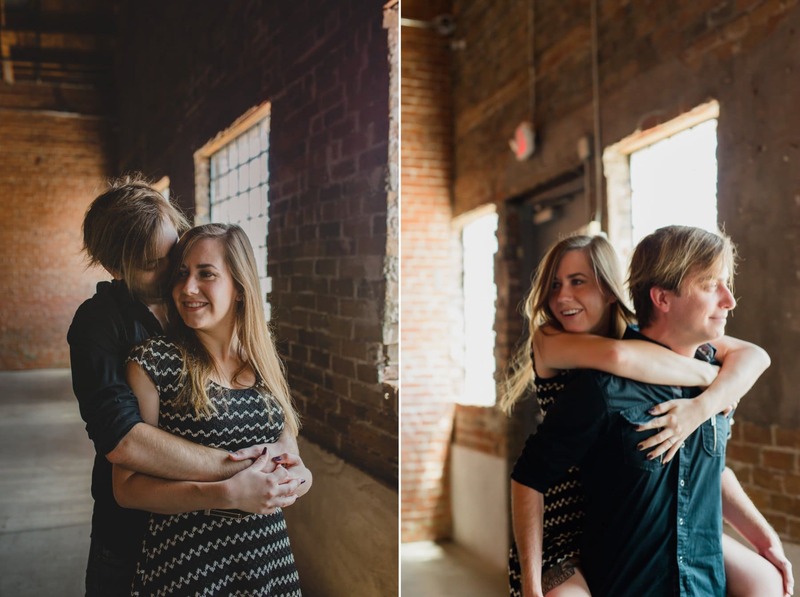 I loved the challenge of an indoor location which was substantially different from the typical desert which I was used to shooting, and of course they were adorable. 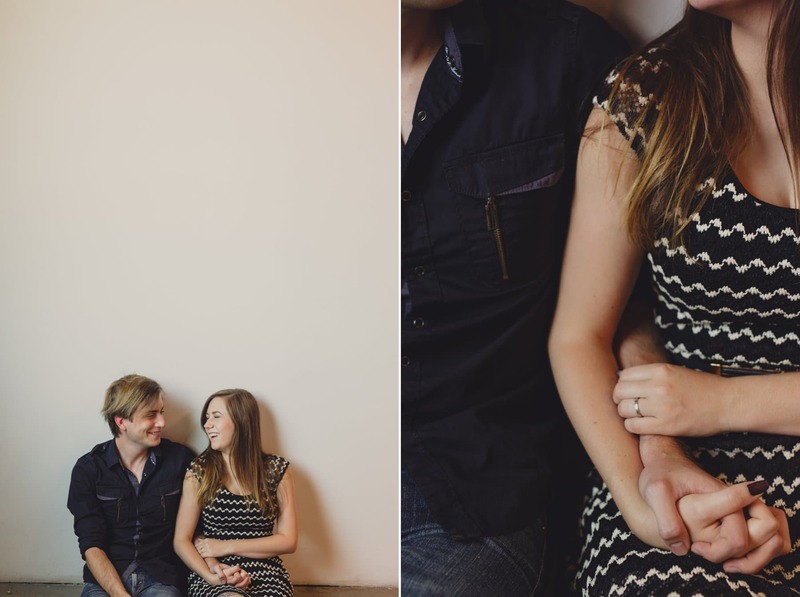 I can’t wait for their Schnepf Farms wedding in just a few weeks! 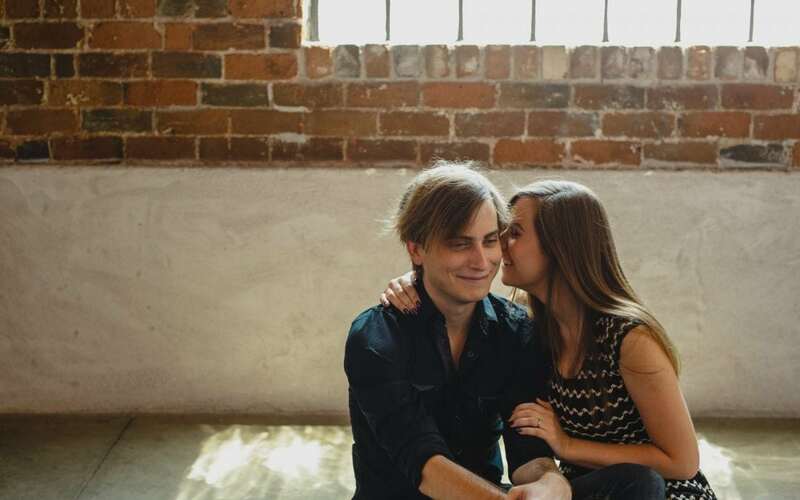 You might also remember these two- Sierra had a college grad session last year with Brian. 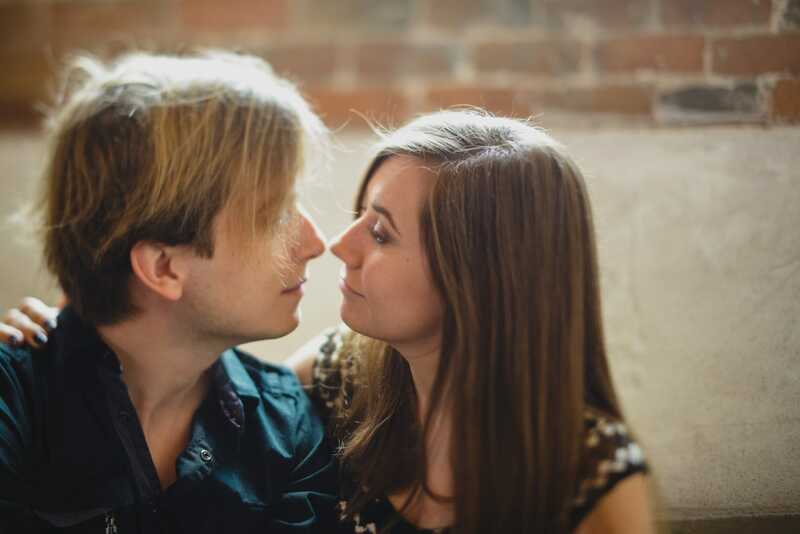 Since then, they got engaged! Sierra also started Blackfern Events, an alternative wedding planning business in Phoenix and I’ve done several styled shoots with her, including a super cool 80’s inspired one that I can’t wait to share soon. I can’t wait to work with her on an upcoming elopement and hopefully some awesome weddings soon. If you’re looking for an Arizona wedding planner for off-beat & alternative and eco-friendly weddings, she’s definitely your gal. I love her sarcastic sense of humor, efficiency with planning and dog/animal obsession that equals my own, which is saying something. Keep your eyes peeled for more of Sierra between her wedding and more collaborations with her.